When it comes to smartphone cases, it's all about protection. And when it comes to protection, it doesn't get much better than OtterBox. They provide great protection with multiple difference case options. These options also give you color options, for your own look and style. And for screen protection, they also provide glass screen protectors. The OtterBox Defender Series case came in a great looking clear plastic package so you can see the product. The materials used in the construction of the Defender Series case was mostly made of plastic, with a synthetic rubber exterior cover. Quality of materials used are excellent. Quality of construction as well as the fit and finish is also excellent. The same can be said of the Alpha Glass Screen Protector, which came in a nice looking color printed box with photos of the glass. Quality of materials and construction was excellent. The Defender Series Case also came with a belt clip case holder, and manuals. The Alpha Glass Screen Protector also came with manuals, instructions and microfiber cloth to help with the install. Installation was rather simple. For the Alpha Glass Protector, it was just a matter of 1st cleaning the glass screen of your phone. Then you take off the clear plastic film on both sides of the glass protector. And finally you carefully line up and press the protector down onto the screen. Installation of the Defender case was even easier. The internal hard plastic frame is two pieces. One piece is the bottom, and the 2nd piece is the top. It was as simple a placing the phone on the bottom piece, placing the 2nd piece on top, and then snapping the two pieces together by pressing the two together at the edges. Then the rubber exterior cover wraps around the hard interior. Having been an OtterBox user for years, I have seen one small downside to the Defender Series in the clear plastic screen protector. It is built into the top half of the internal hard plastic shell. It starts off clear, easy to use, see through, and work with. But after time, dust can get underneath it, and it is no longer as clear. If that happens, the clear plastic protector is easy to take off. I thought I would experiment and try something different. I installed both the alpha Glass Screen Protector as well as the Defender Series case. So the clear plastic screen protector built into the Defender case was pulled out. I didn't know if it would work, but it did fairly well. And using both gives the best of both - glass screen protector for excellent image, and the Defender case for the best protection. The performance is top notch, as the installed case is a tight fit and provides protection on all sides! When it comes to smartphone protection, the OtterBox Defender Series Case and the OtterBox Alpha Glass Screen Protector provides top of the line performance and protection. Protection doesn't get much better than that. At an MSRP of $49.95 for the Defender Series Case and $34.95 for the Alpha Glass Screen Protection. They are worth every penny. 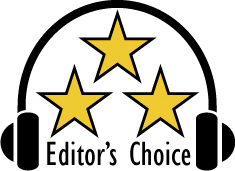 Based on the design, features, quality and performance, the OtterBox Defender Series case and Alpha Glass Screen Protector has earned our Editor's Choice Award. For more info and complete specs, check out their website at www.otterbox.com.